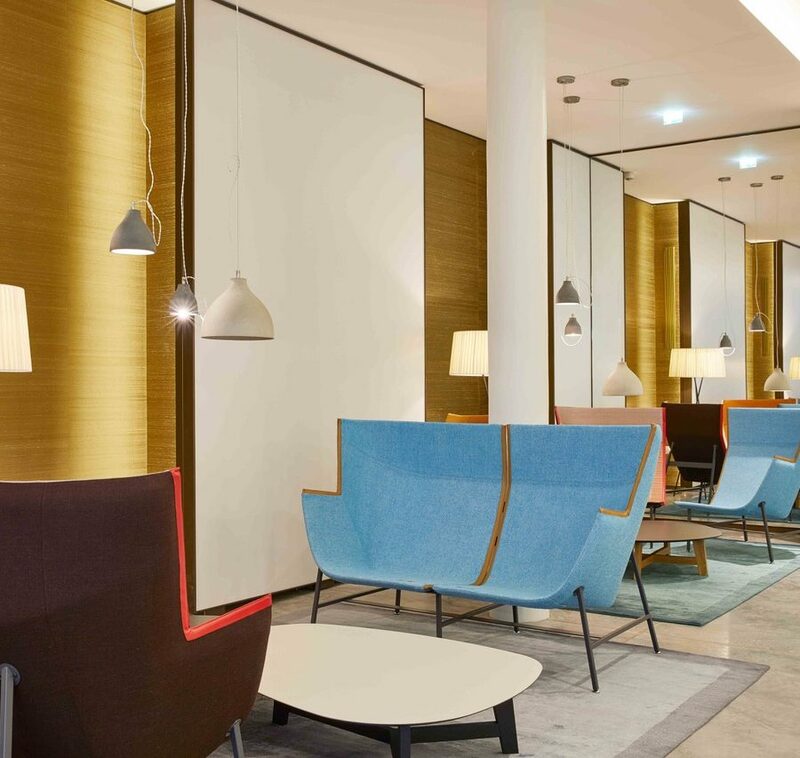 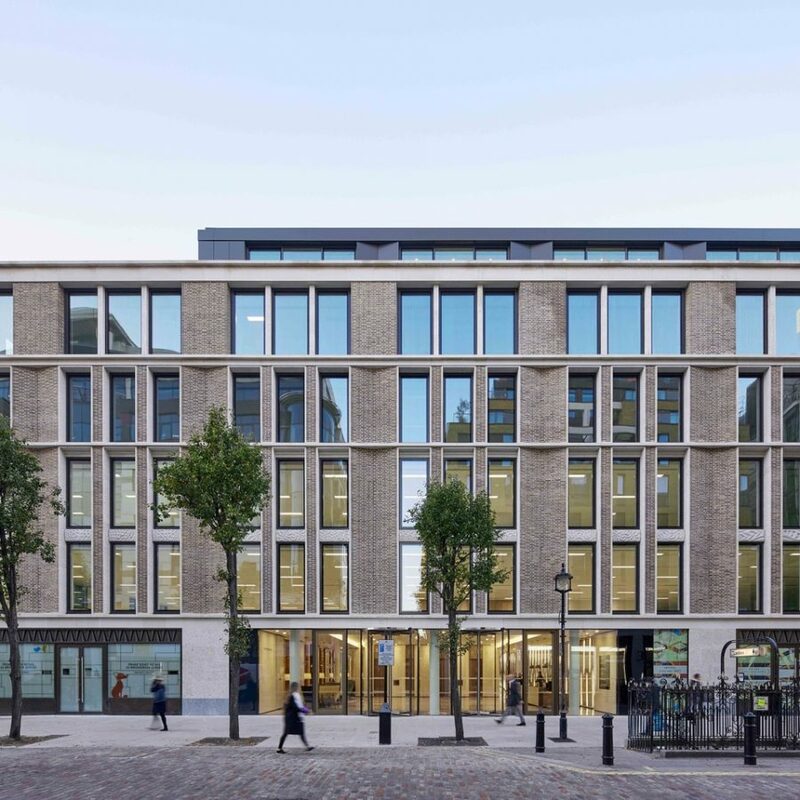 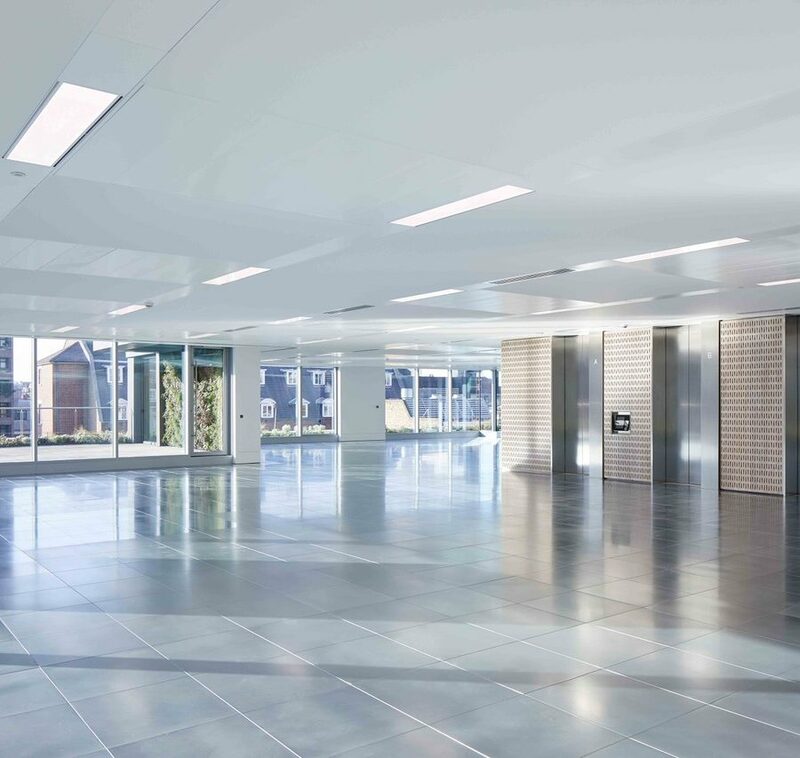 Thirty Broadwick is a new 120,000 square foot landmark building for Great Portland Estates, providing contemporary office, restaurant and retail space in the heart of Soho. 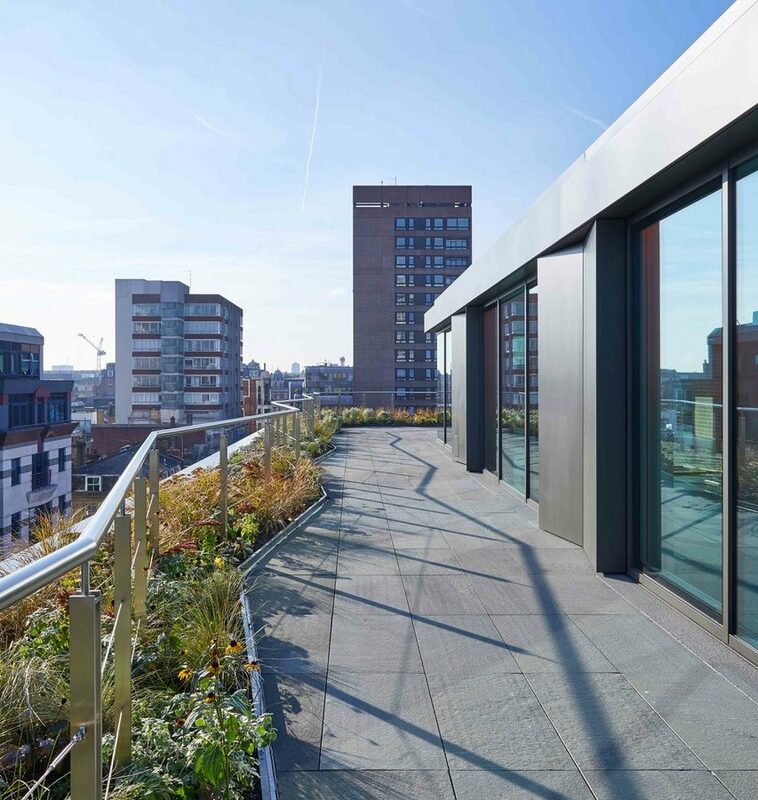 The new building has been designed to address the mixed urban context, with the main facades broken down into component parts to respect the design and materials of neighbouring buildings. 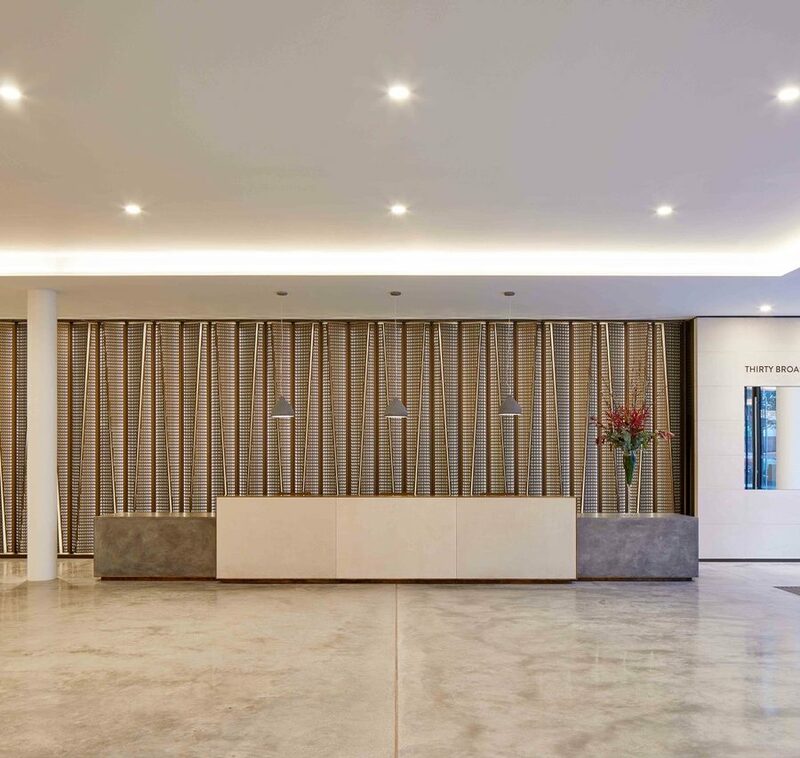 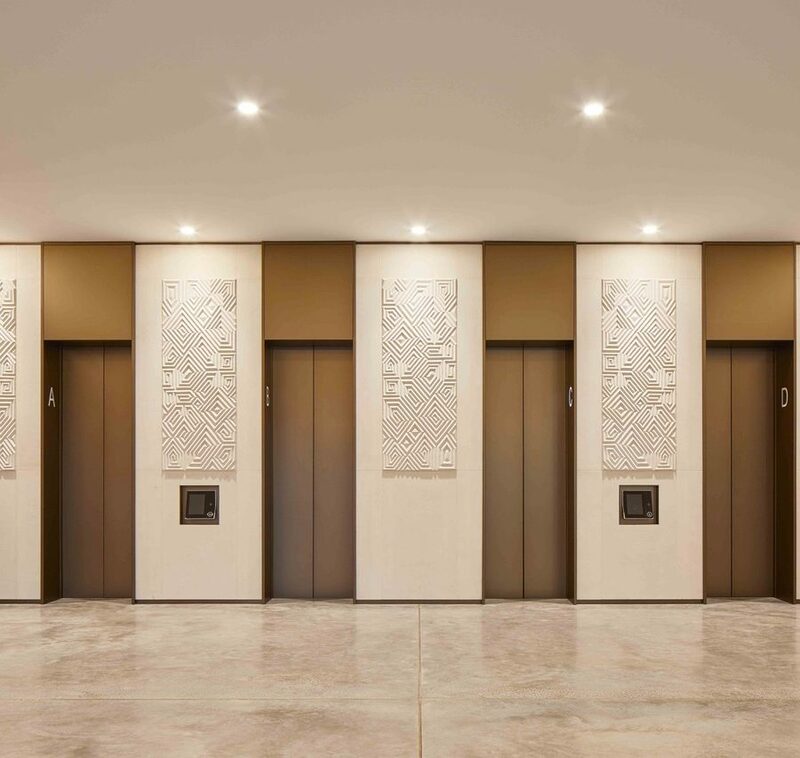 A key principle of the design was to weave some Soho history into the fabric of the building and Emrys has taken inspiration from the shape of a dart or pleat used in the local fashion and garment industry as a form within the architecture. 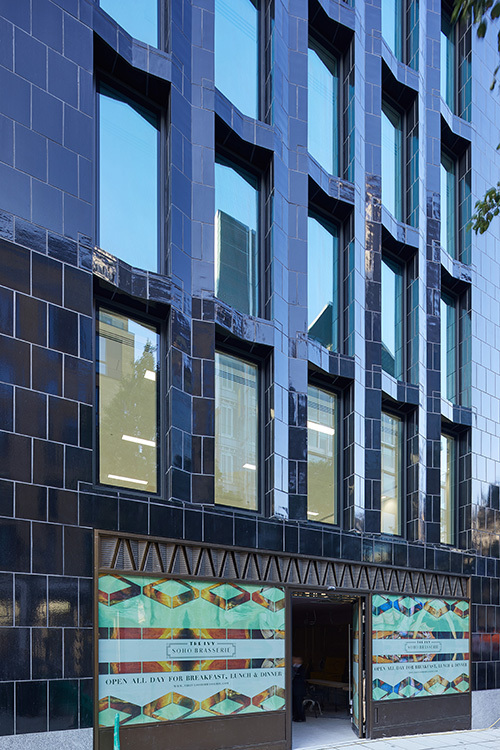 It is manifested in the cranked shape of the piers on the brickwork façade, in the fluted form of the faience, in the decorative bronze louvres that adorn the shopfronts and in detailing throughout the interior.